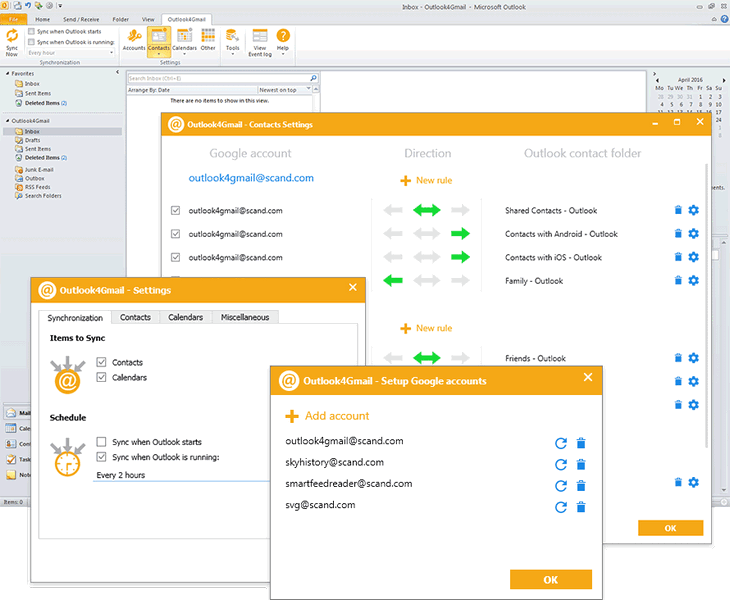 This plug-in supports synchronizing of Outlook and Google contacts with maximum details: Name, Company, Phones, Emails, Addresses, Dates, Persons, Notes, Contact Picture, Categories and Google Groups, etc. 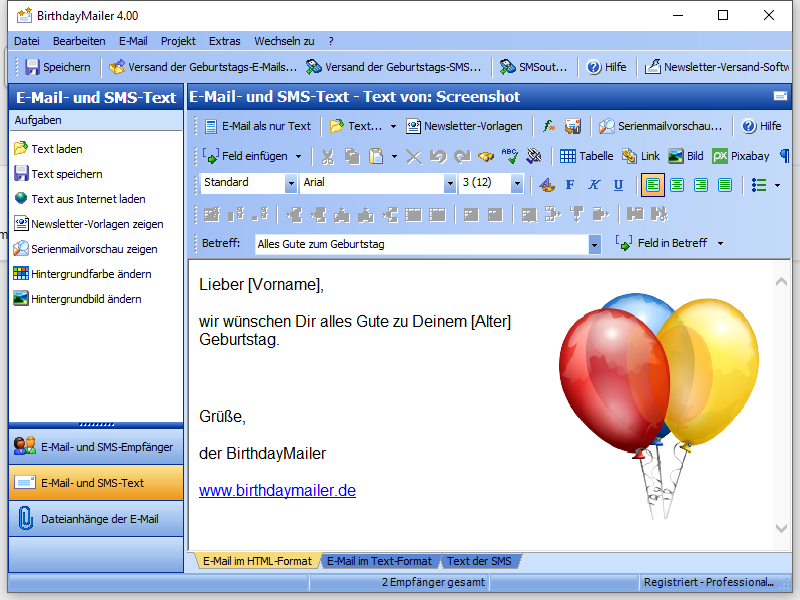 Outlook4Gmail provides various ways of syncing Calendars: Import a calendar from Google into Outlook, Export an Outlook calendar to Google, Syncing existing calendars, Creating new calendars, etc. Outlook4Gmail allows to automate synchronization with help of automatic check-up for contact's updates by time interval (every 30 minutes, every hour or every 2, 4, 8, 12, 24 hours). All you need is to configure the settings just once and that would be enough for the add-in to update your contacts information automatically without any efforts from user. What's more, Outlook4Gmail supports synchronizing of multiple Google accounts. Apart from synchronization of Google contacts and calendars, the add-in synchronizes Outlook contacts and appointments to Google as well. When you select two-way synchronization, the data will be read in two iterations and contacts will be synchronized both for Outlook and Google accounts. If you use Outlook for more than one work and personal stations you can easily synchronize all clients by completing of two-way synchronization of Outlook clients with the required number of Google accounts.